Santa Margherita, Pinot Grigio, 2012, Italy. On a hot, humid August day where adult beverages are called for, you can go with beer, mixed drinks, or Pinot Grigio–and the folks at Santa Margherita make a fine one. It’s clean. It’s fresh, and its understated scents of citrus strike a fine balance in terms of sweetness and balance. It’s appreciated in equal measures by my wife and by me. The 2012 Santa Margherita Pinot Grigio complemented our barbecued chicken, sweet corn, and potato salad. The latter had a mustard tang, and the Grigio effectively offset this taste…the BBQ too. If you’ve had this white wine, you know what I mean. And if you haven’t, carpe diem and grab one today. 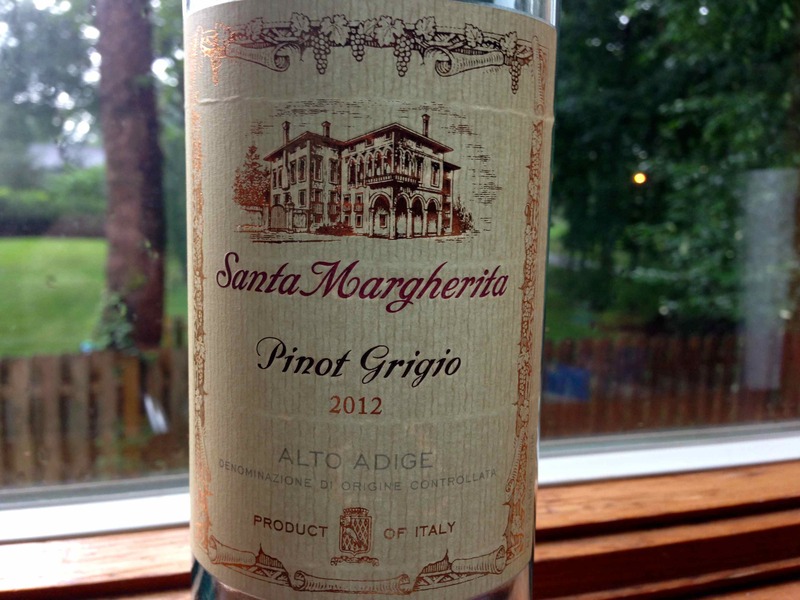 This entry was posted in pinot grigio and tagged Italy, santa margherita pinot grigio.